Murders Durst has been associated with–yet for which he has never been convicted–include that of his former wife and an elderly neighbor–of whose grisly dismemberment he was acquitted though he admitted to committing the crime. The doc traces the tragic/violent/misdirected life of the scion of the superwealthy NYC real estate family from his boyhood days; twisted details include his mother’s suicide when he was seven and the bizarre killing of a series of dogs, to name just a few. 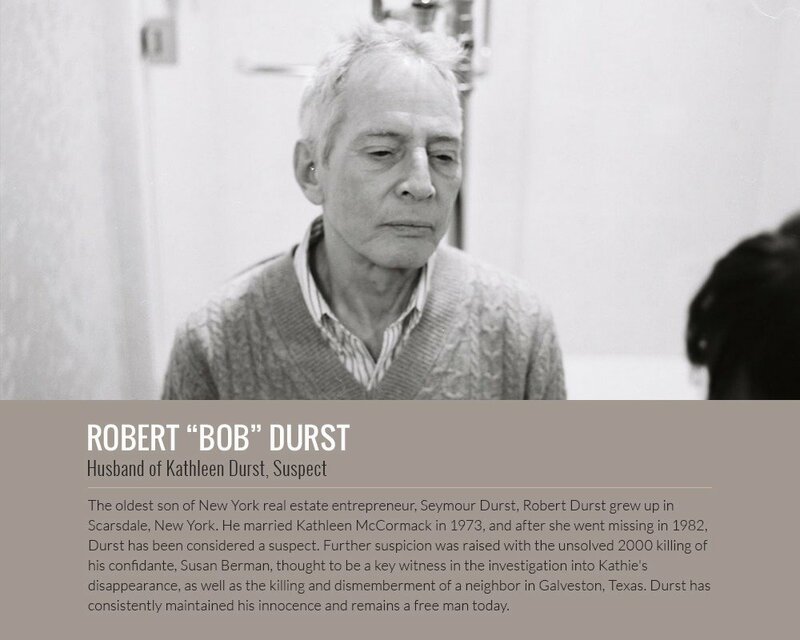 In 2011, Durst reportedly purchased a Harlem townhouse and was living there quietly. Earlier this year, he was arrested for public urination in a Texas convenience store–he turned himself in and paid a $500 fine for criminal mischief. 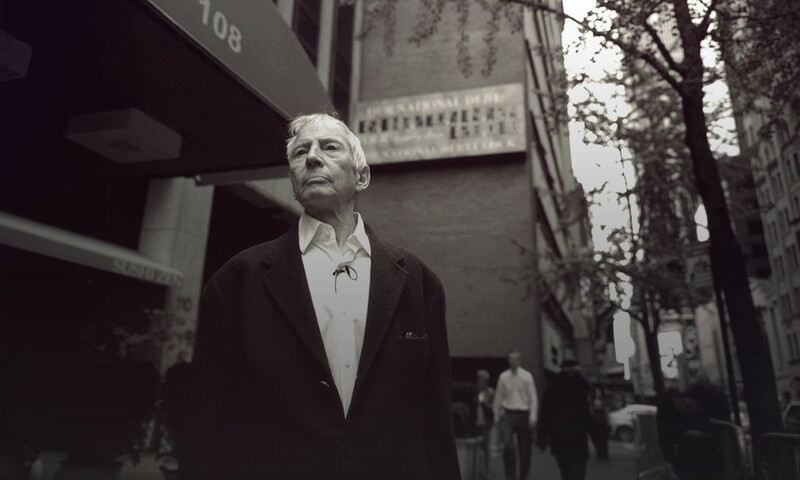 The story of Robert Durst’s bizarre antics, whether they be an uncanny ability to avoid incarceration or his odd and mostly contentious interactions with his family, must be seen to be believed, and the doc purports to be a skillfully-crafted–including music, art direction and cinematography–opportunity to do just that. According to reports, the family has been trying to get a court order to find out how the filmmaker obtained confidential information, but they have not tried to block the show from airing. So far, reviews such as this one in Newsweek, are calling the creepy-but-fascinating doc, well, creepy-but-fascinating. 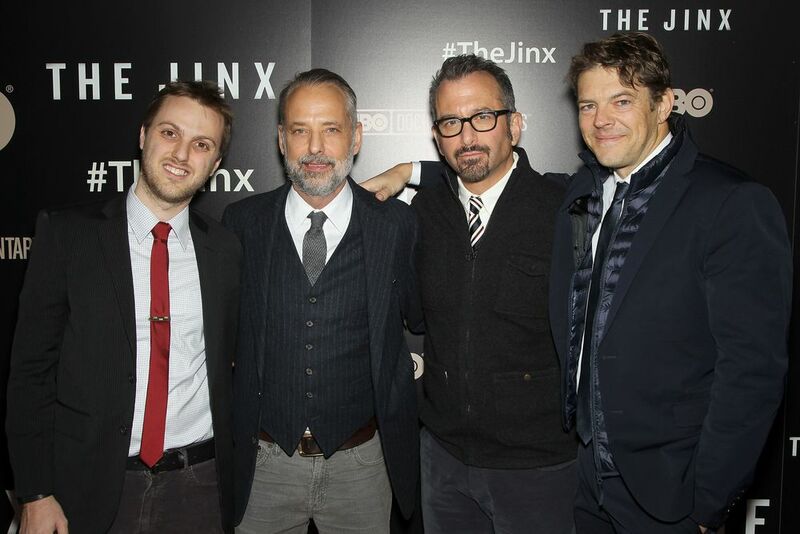 The next episode airs on Sunday, February, 15 at 8PM on HBO. The Real Deal also offers commentary and spoilers, which might be good if you want some background for watching the remaining episodes scheduled for the next five Sundays at 8 PM (The first two episodes were screened in NYC).